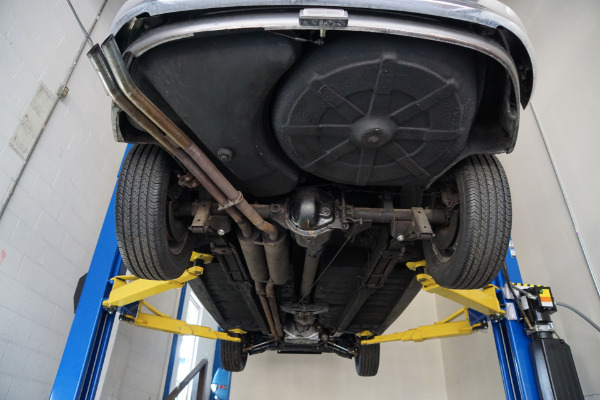 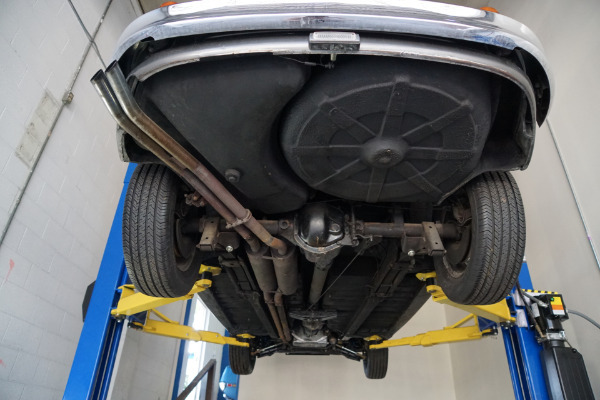 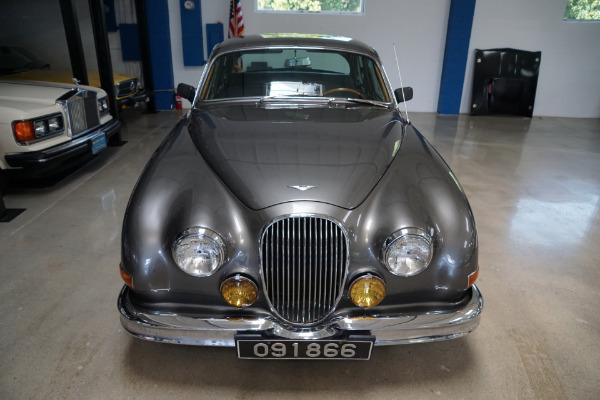 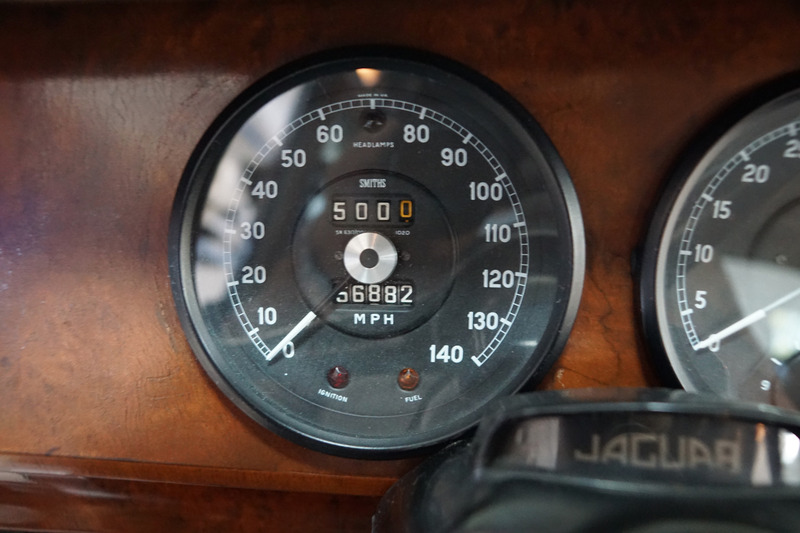 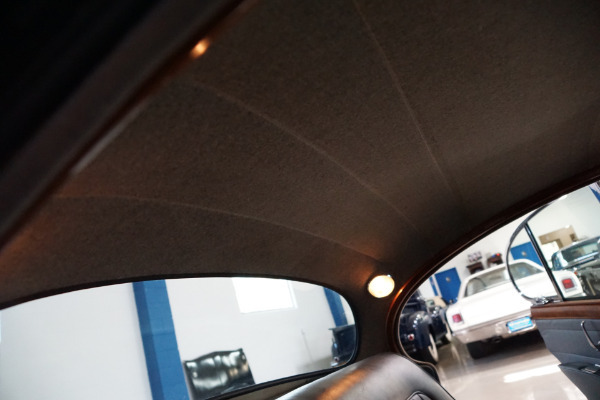 West Coast Classics are proud to present a cherished example of this original southern California owner since new 1967 Jaguar Mark II 3.8L Sports Sedan with a desirable 4 speed manual transmission and just over 56K original miles! 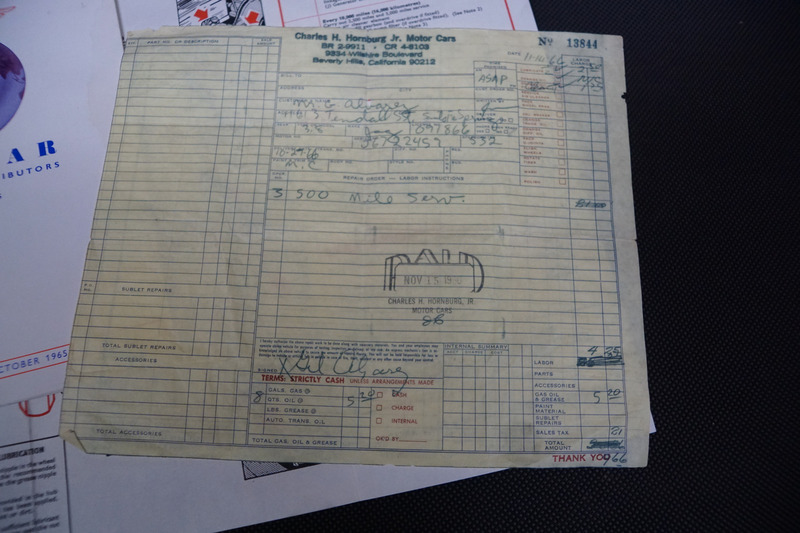 Still registered to its original southern California owner with it's very rare original California 'pink slip' title with all original documentation from purchase when new at 'Charles Hornburg Jaguar' of Beverly Hills, CA with its original owners handbook and original manufacturers warranty dated 10/27/1966! We recently purchased the car from its original southern California owner who purchased the car new in 1966 from 'Hornburg Jaguar' of Beverly Hills, CA with and the car has always been garaged and covered and so rare for these cars has absolutely no history of any rust and no signs of any accidents and with only very minor imperfections in its striking original color 'Dark Gray' paint in the form of some minor checking in places and boasting a very nice matching 'Light Gray' color interior with the burled walnut interior showing extremely well - not a concourse example but a true always garaged survivor boasting true single pride of ownership since new! 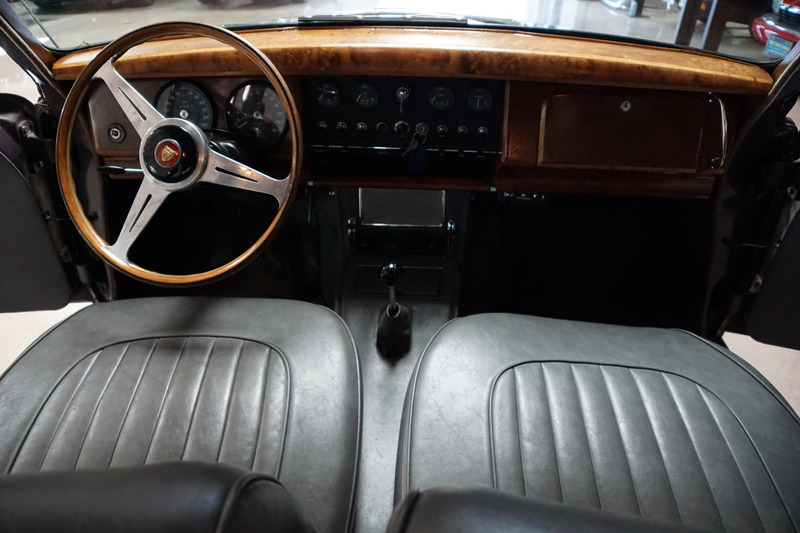 The car drives very well, superb in every sense and extremely rare for one of these cars with the Moss manual gearbox correctly selecting all the gears, including reverse, which as any enthusiast will confirm is a lottery in most unrestored or original Moss transmissions, which generally need a sympathetic and experienced hand to avoid wrong slotting! 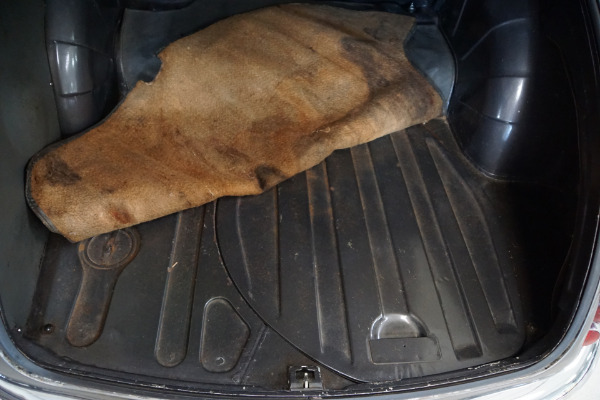 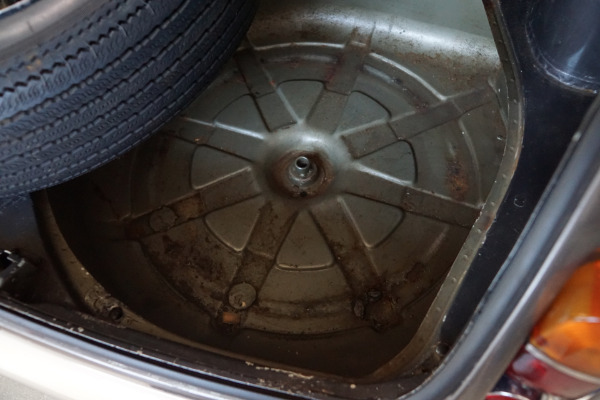 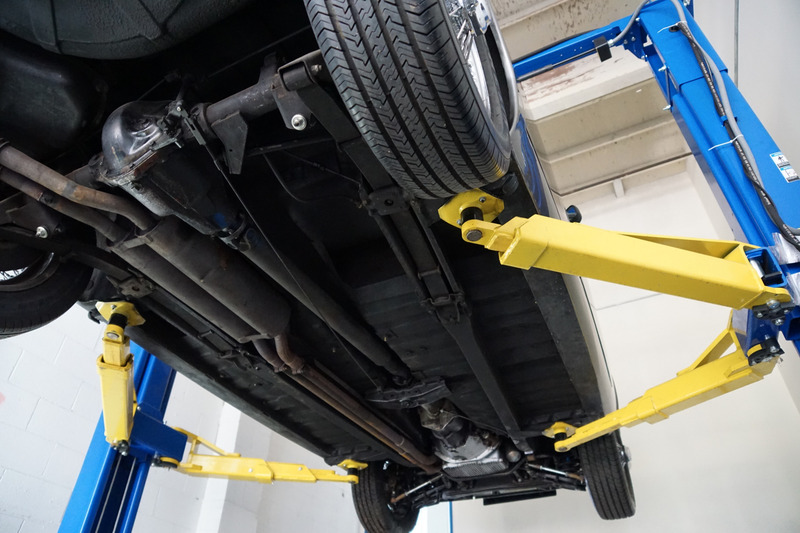 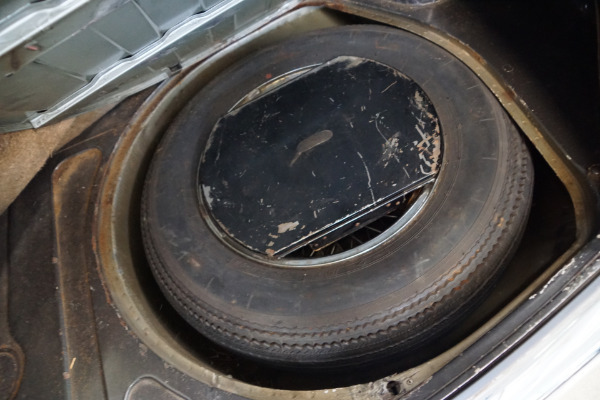 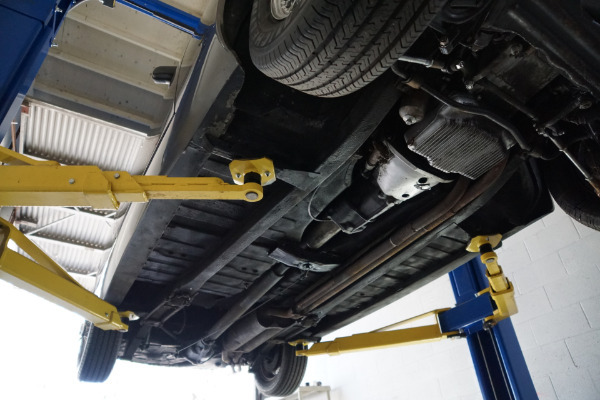 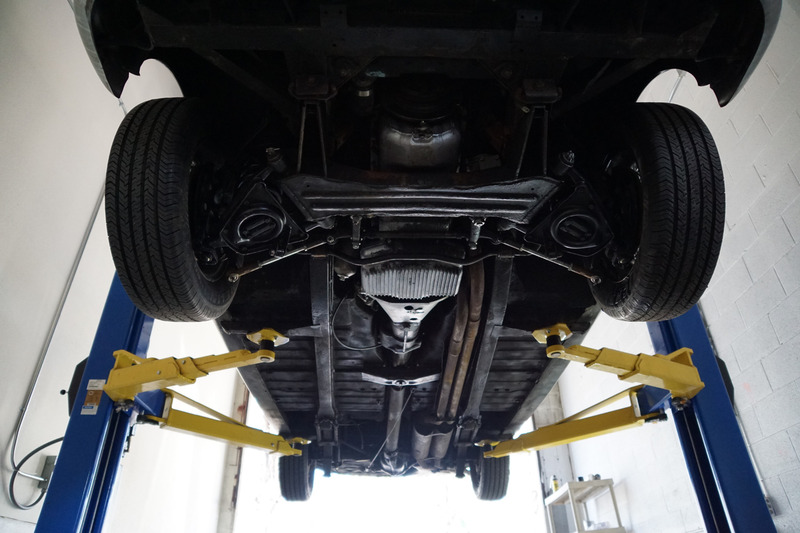 There is no noise from the rear axle or rear end and there are no signs of any smoke. 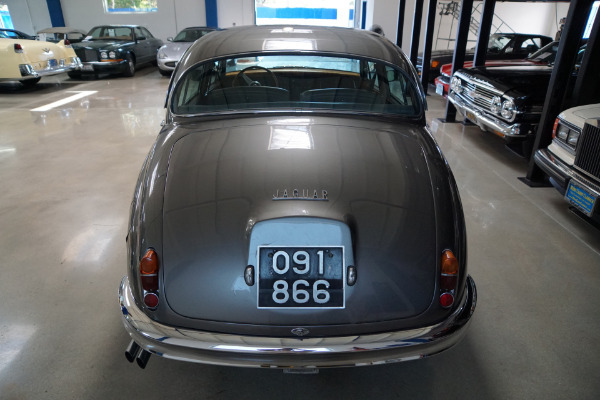 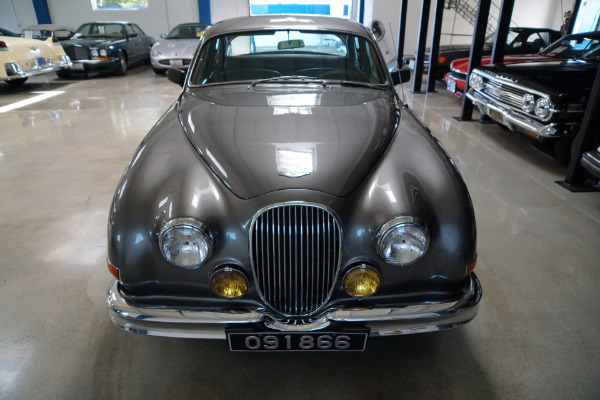 The Jaguar Mark 2 (II) is a sports sedan which was built from the years 1959 to 1967 by Jaguar in Coventry, England as a successor to the Jaguar 2.4L and 3.4L models which were manufactured between 1957 and 1959. 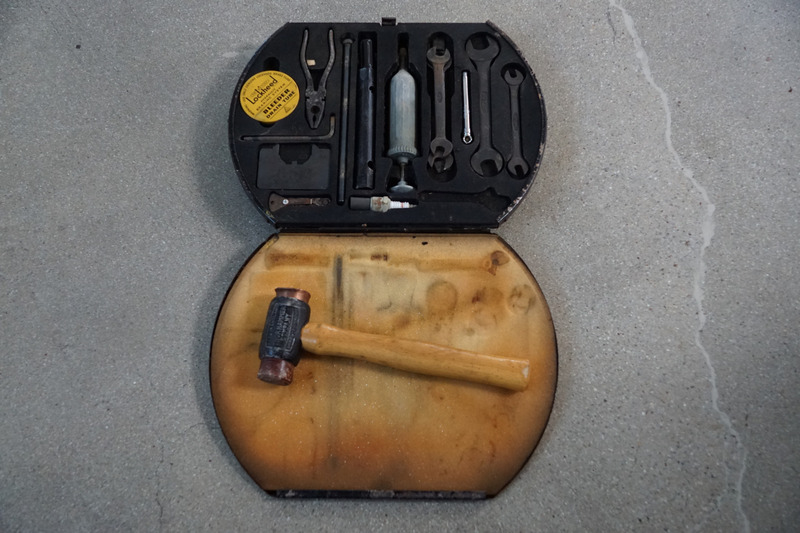 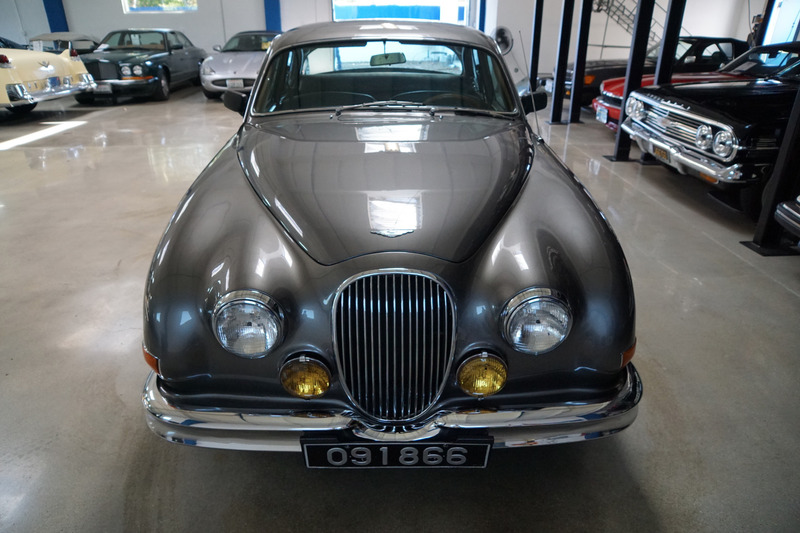 These earlier models later became known as the Jaguar Mark I following the release of the Mark II in 1959. 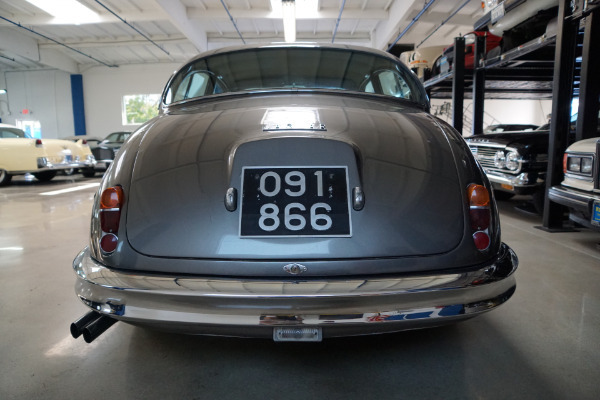 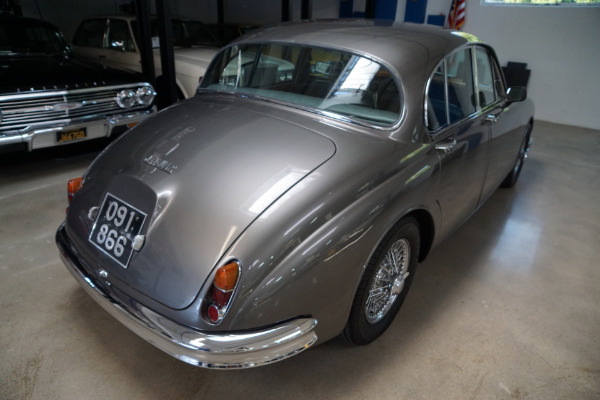 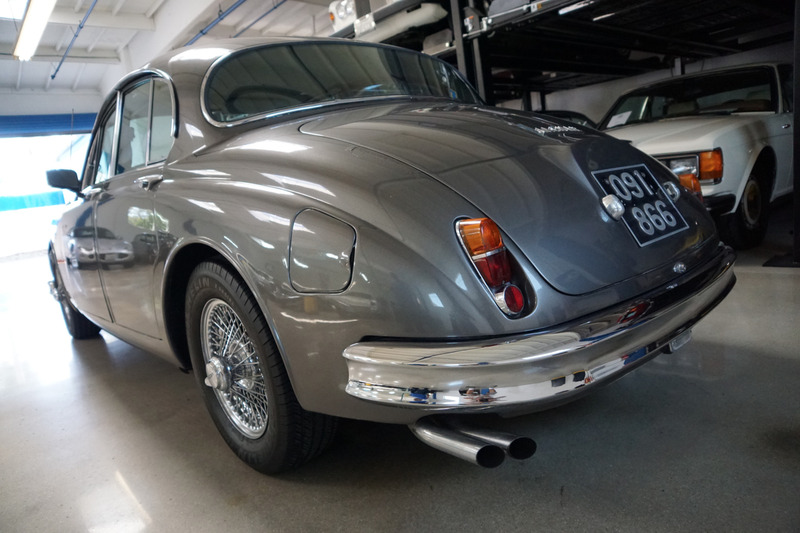 The Mark II is a beautiful, fast and legendary sports saloon, or sedan as referred to in the U.S. and it came with a 120HP 2.4 L engine, 210HP 3.4 L engine or a 220HP 3.8 L Jaguar XK engine similar to the Series I XKE or E-Type having the same block, crank, connecting rods and pistons but different inlet manifold and carbs, with only two SU's instead of three SU's as on the E-Type in Europe and therefore 30HP less. 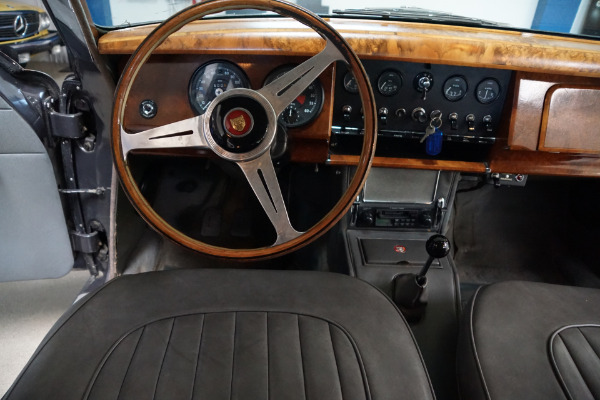 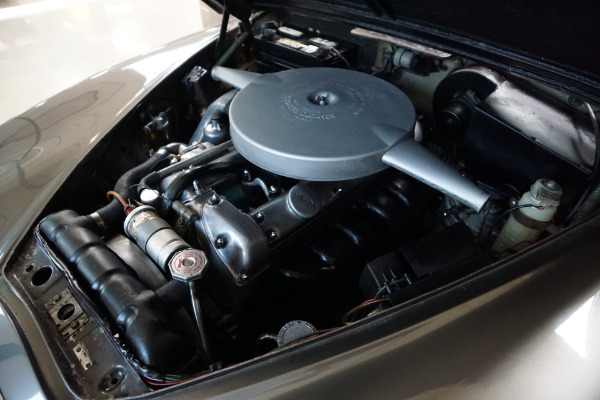 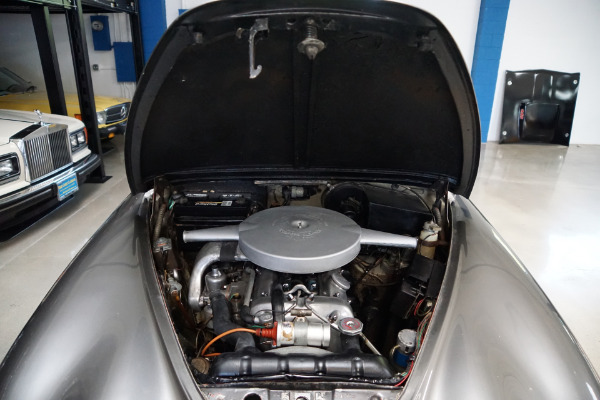 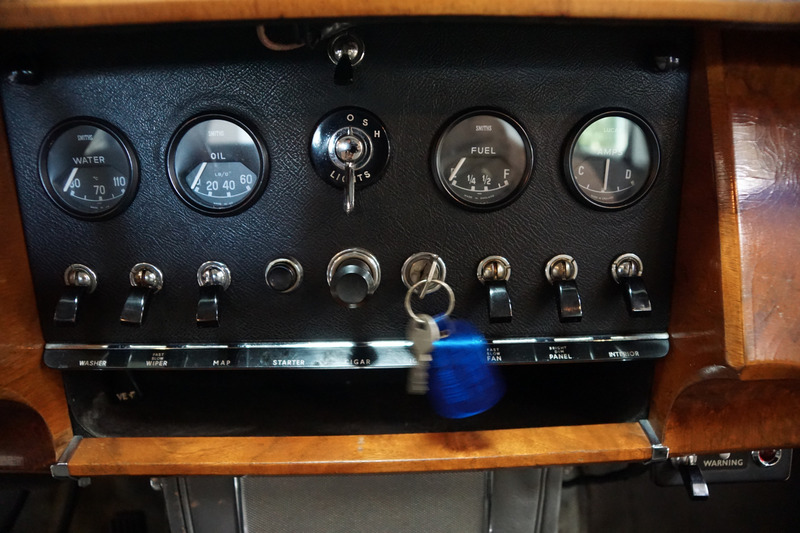 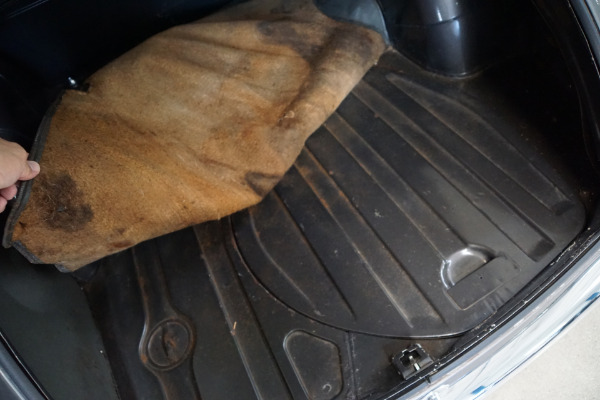 The head of the six-cylinder engine in the Mark II had curved ports compared to the straight ports of the E-Type configuration and both the 3.4 and 3.8L cars were fitted with twin SU HD6 carbs. 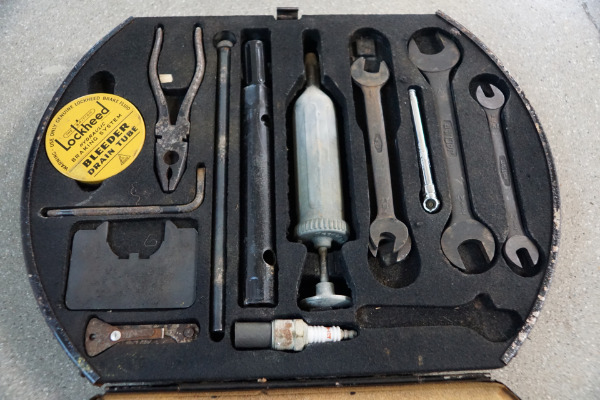 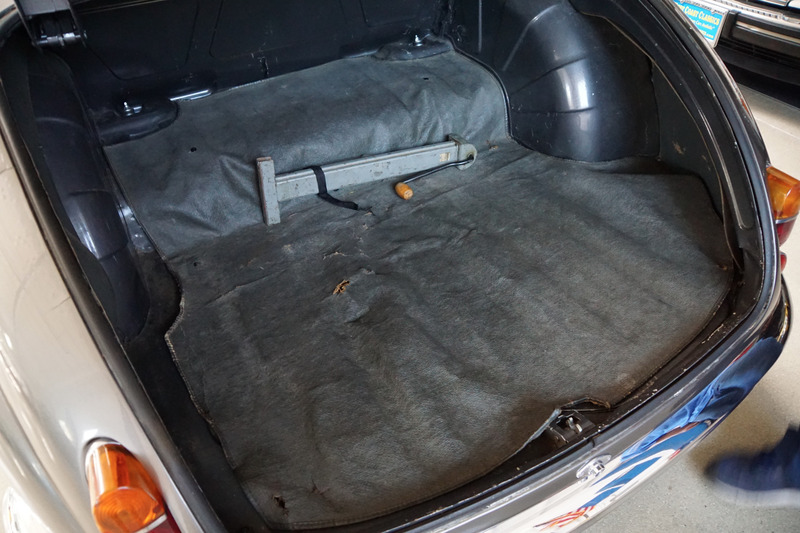 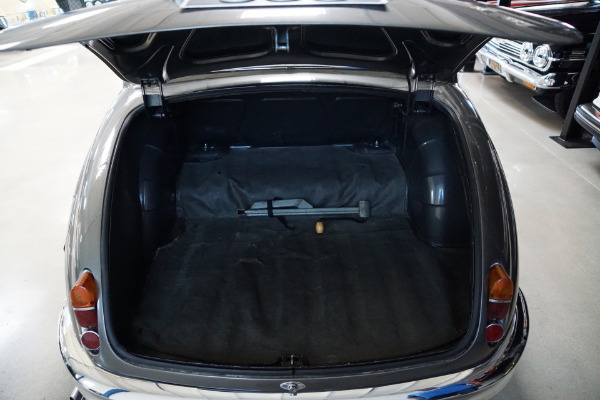 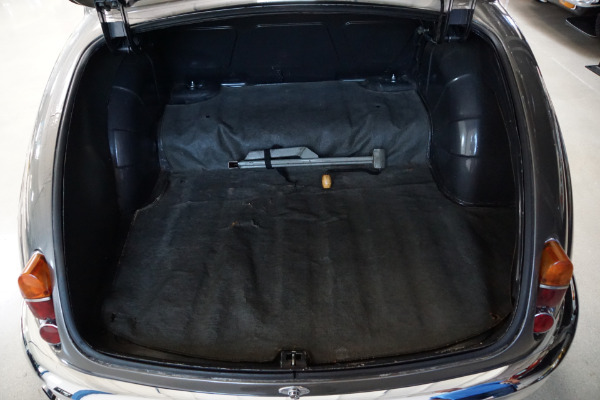 Nevertheless the performance of these small, sharp, tight sedans was nothing less than legendary with the Mark 2 gaining a reputation as a capable get away car amongst criminals and law enforcement alike with the 3.8 L model being particularly fast with its 220 HP engine driving the car from 0-60 mph in under 8.5 seconds and with a top speed of 125 mph, making it faster than 80% of all other contemporary two seater sports cars and with the car still having enough room for five adults! 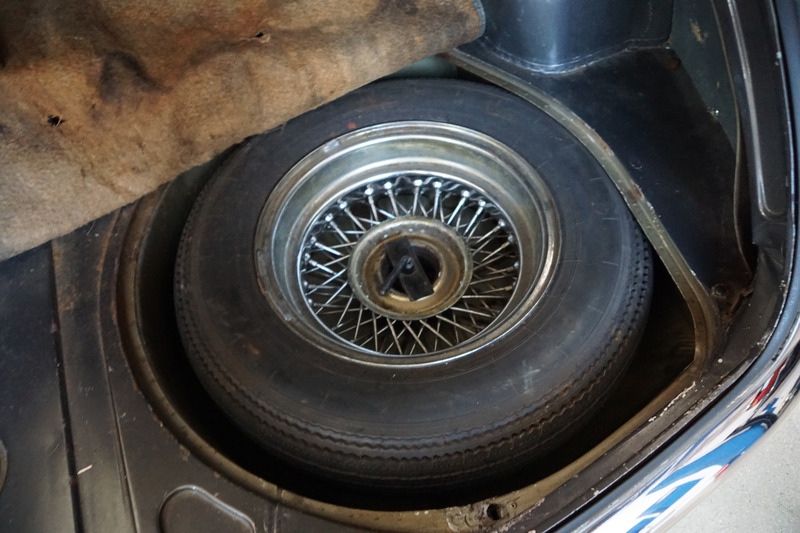 They were employed by the British Police to patrol the British motorways (Freeways!) 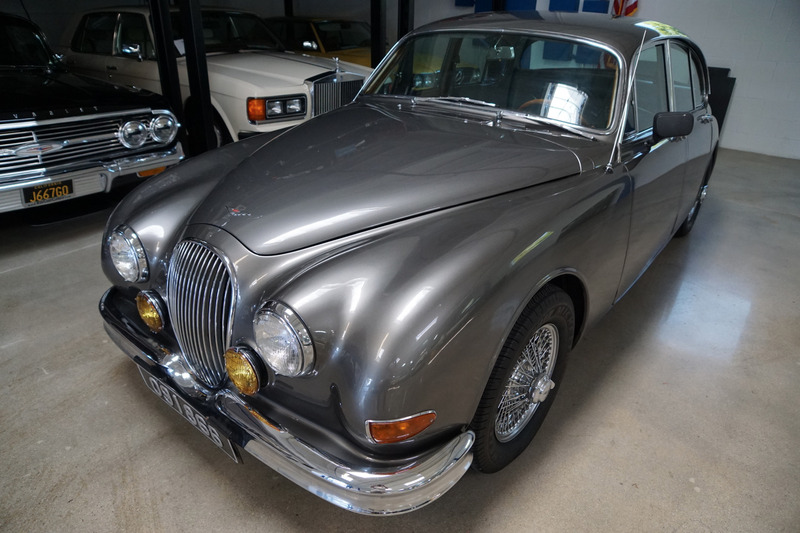 The Mark 2's body lines, derived from the Mark 1, proved sufficiently popular over time to provide an inspiration for the Jaguar S-Type introduced in 1999. 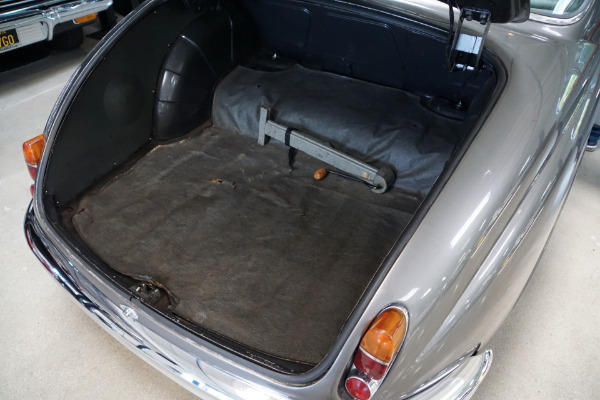 The original S-Type has always proved less fashionable or desirable and consequently less valuable than the Mark II and therefore less have survived or been restored. Certain milestone cars not only epitomize their genre or era, they create them. 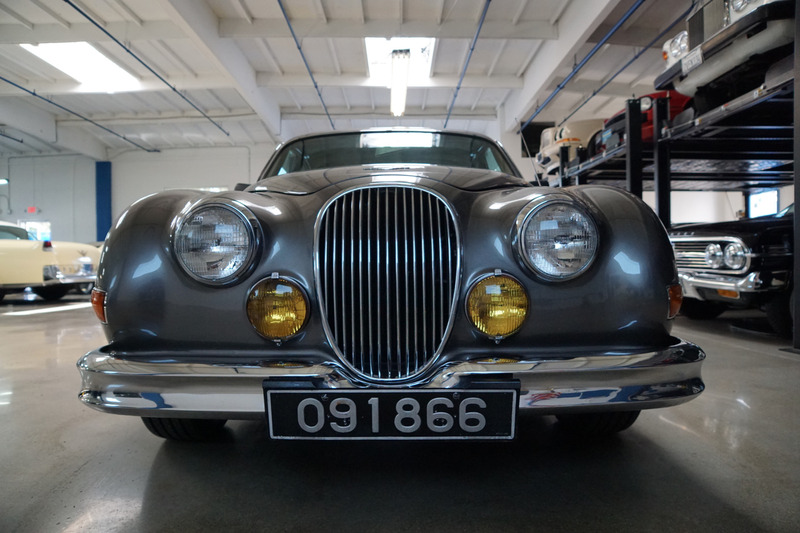 So it was with the Jaguar Mark II, the quintessential sports sedan. 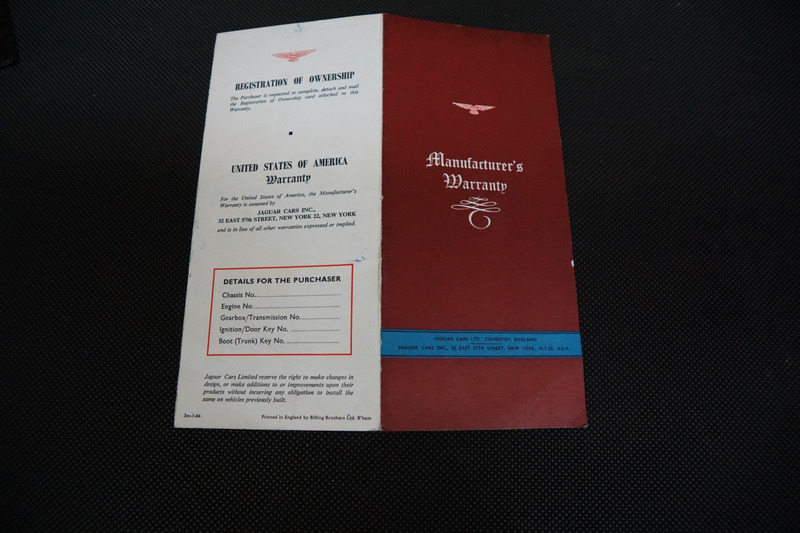 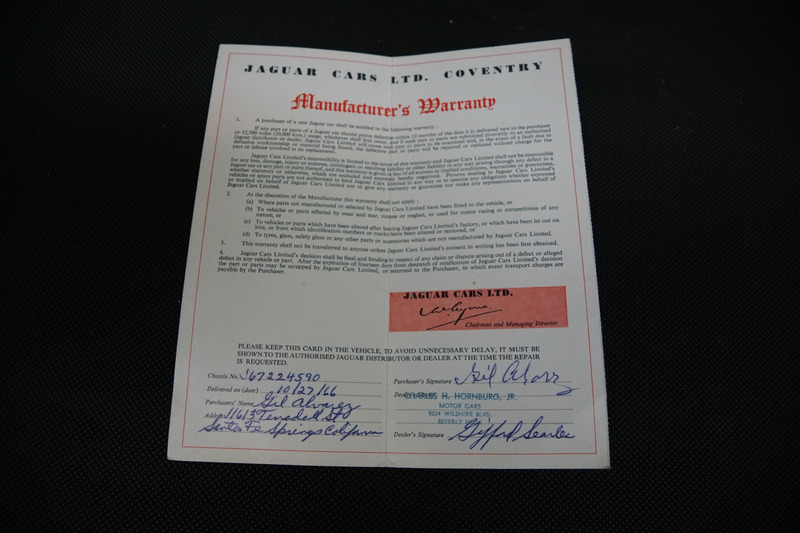 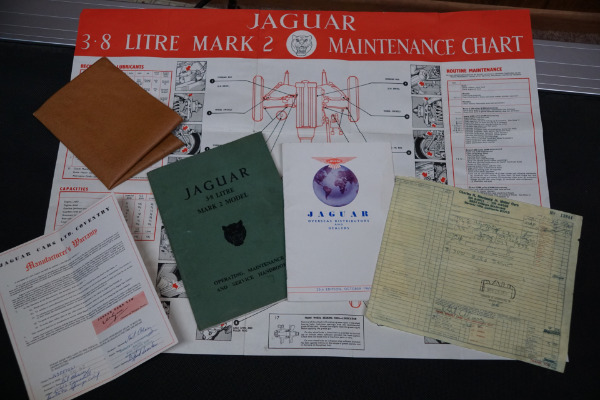 The Mark I had been launched in 1955 to cater to what Sir William Lyons, known with affection as 'Mr Jaguar' and the co-founder of 'Jaguar Cars Limited', identified as the 'Sporting Compact Market'. He figured that there was a demand between the larger and more excessive Mark VII sedan and the XK140 fixed-head coupe or roadster and he was right! 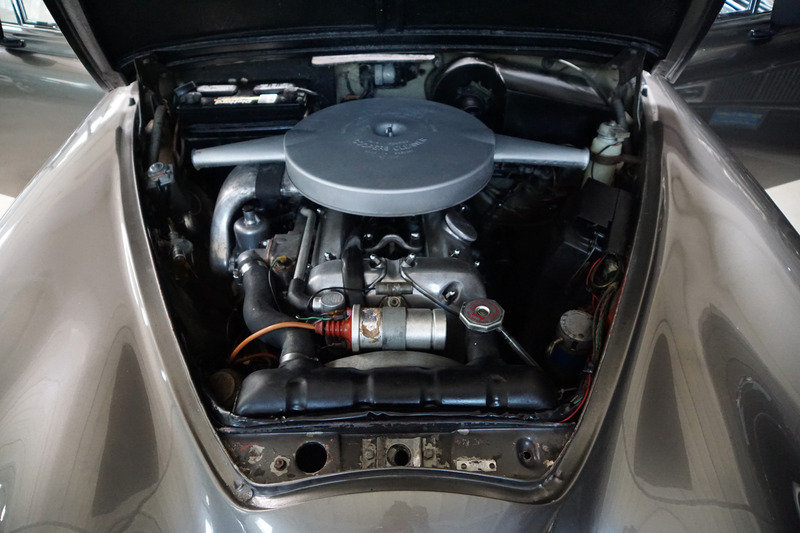 Demand for power in the Mark II increased the engine size in the new models from 2.4L to 3.4L and eventually to the awesome 3.8L engine which was the same 'B' head model as the Mark IX producing 220HP instead of the even faster straight port three carb version fitted to the new XK150S with 265HP and later fitted to the XKE or E-Type in 1961. 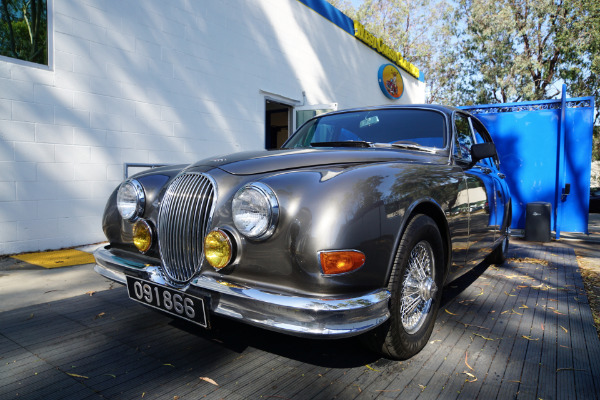 With gorgeous styling to match its performance the model was an instant hit. 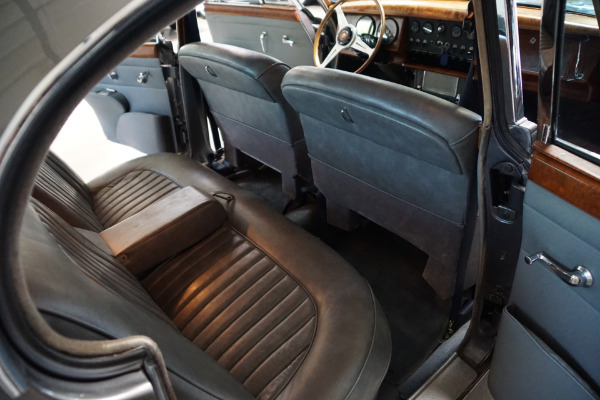 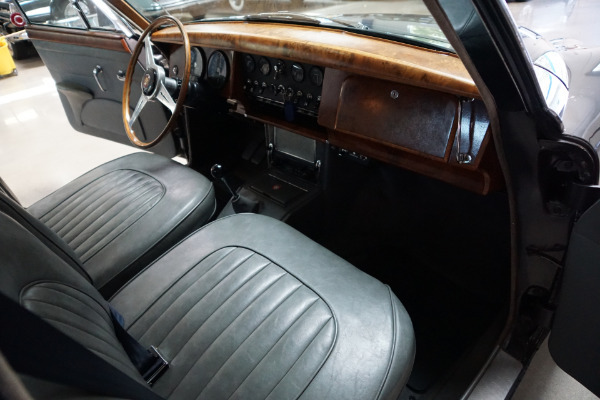 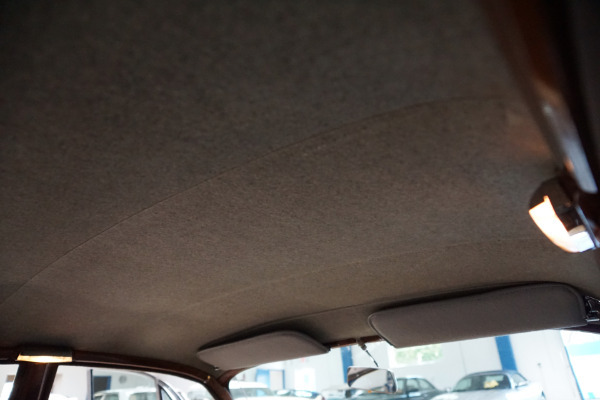 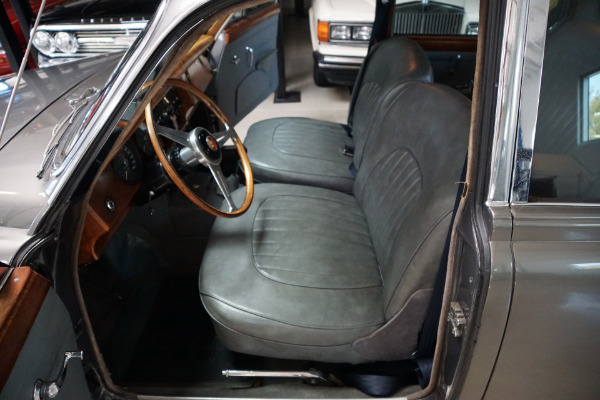 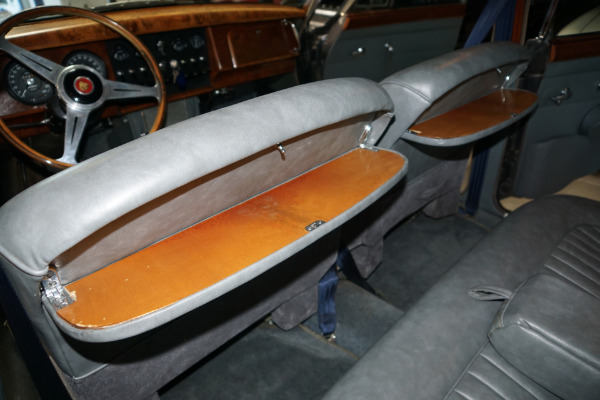 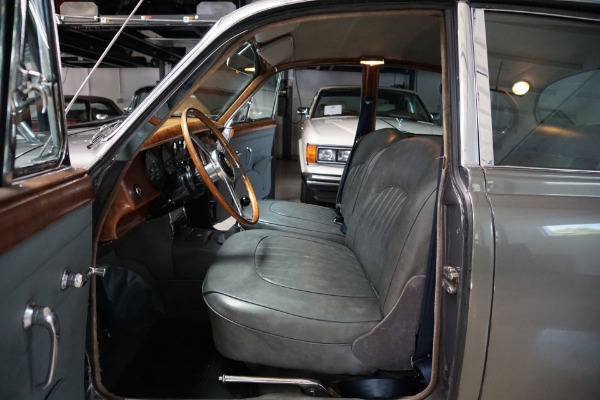 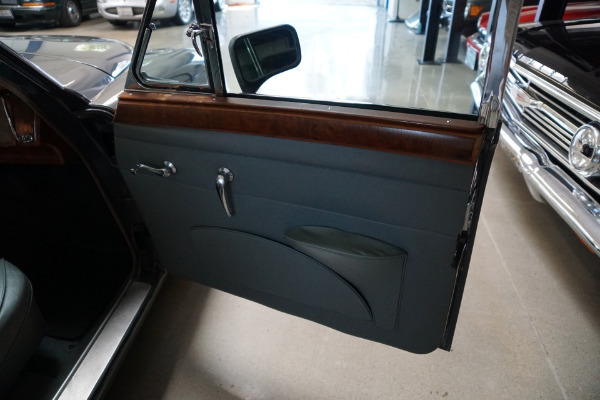 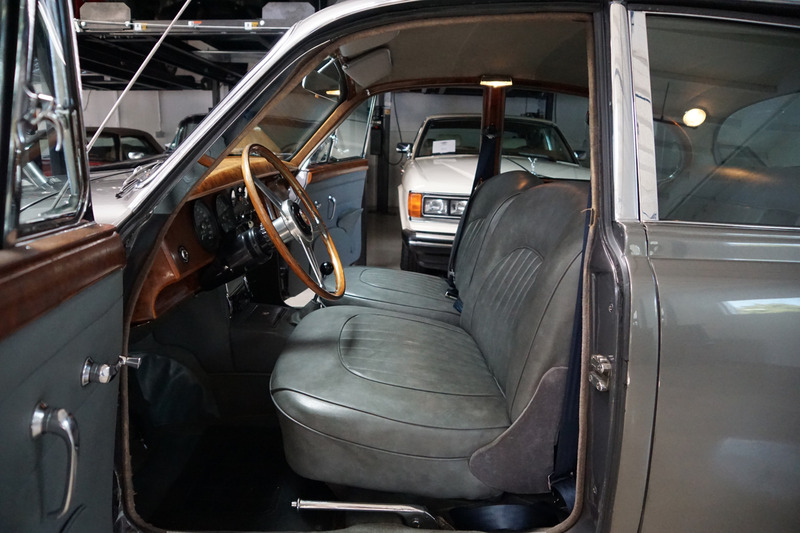 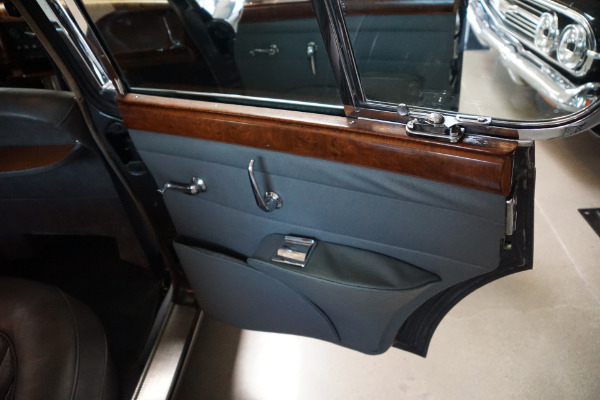 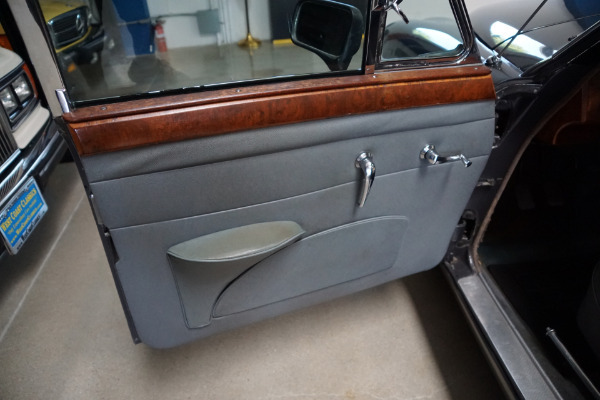 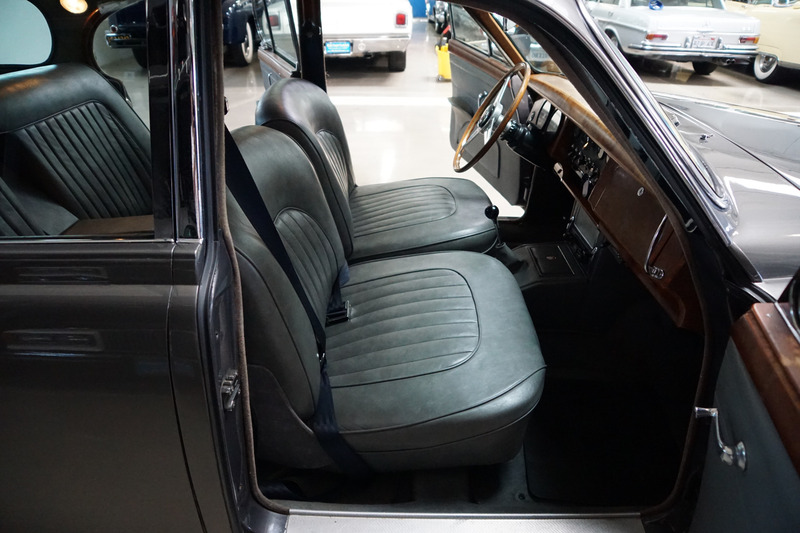 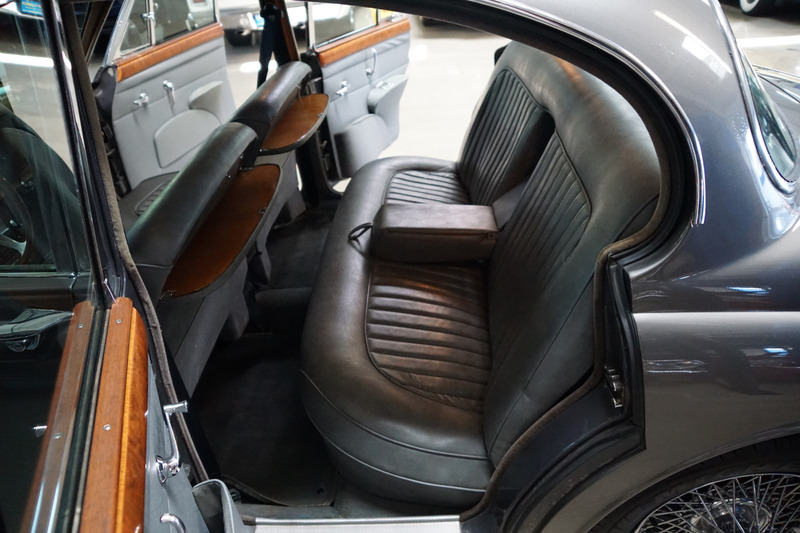 The car boasted polished burl walnut trim and fragrant leather upholstery and luxurious wool carpeting and an enlarged glass area - particularly the side windows which lost the thicker pillars of the Mark I and a new wraparound rear window enhanced both visibility and aesthetics no end. The rear wheel skirts became cutaway spats and the grille was revised with an enlarged center rib housing the flashy Jaguar badge! 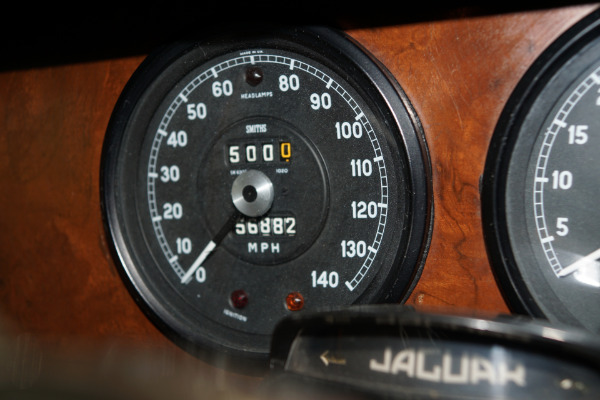 As before a large leaping Jaguar mascot adorned the hood. 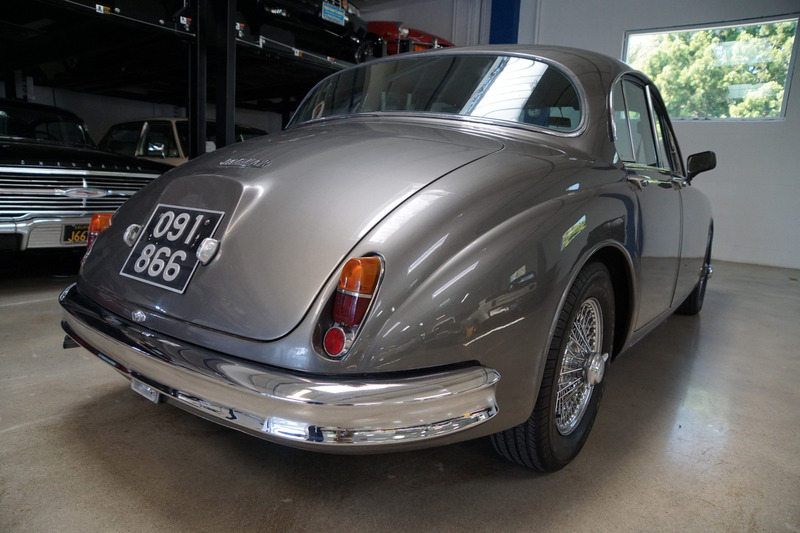 Lighting was improved with sidelights atop the front fenders and larger tail-lights were at the rear. 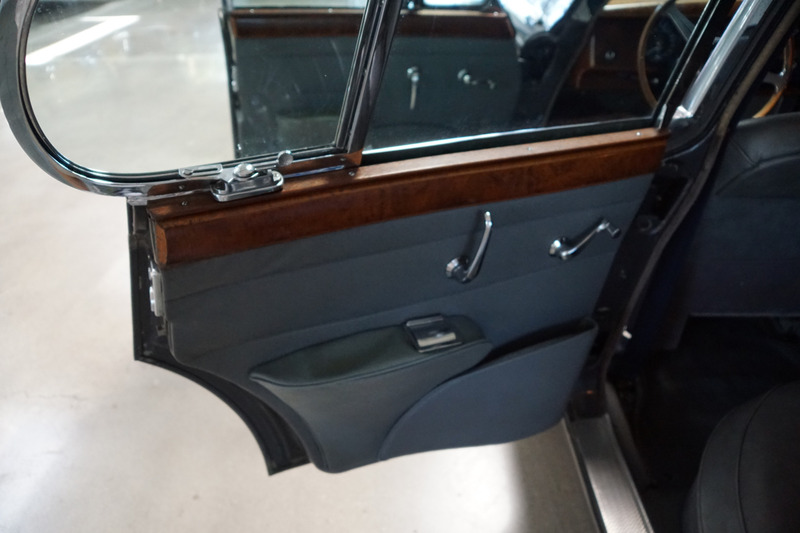 With a selling price well into the range of a new Cadillac sedan in the U.S., the Mk II was an affluent car to own and Mark II's acquitted themselves in saloon car racing almost uncontested, true to Jaguar's formidable racing heritage, until the Americans led by Dan Gurney and Jack Sears brought their massive Chevy Impala and Ford Galaxie V8's over to Europe. 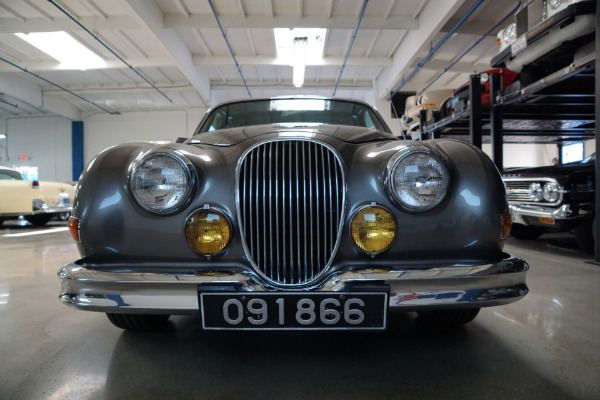 The Mark II became renown as a real driver's car which explains its popularity as a Police car and its reputation as a getaway car in numerous film and TV stories! 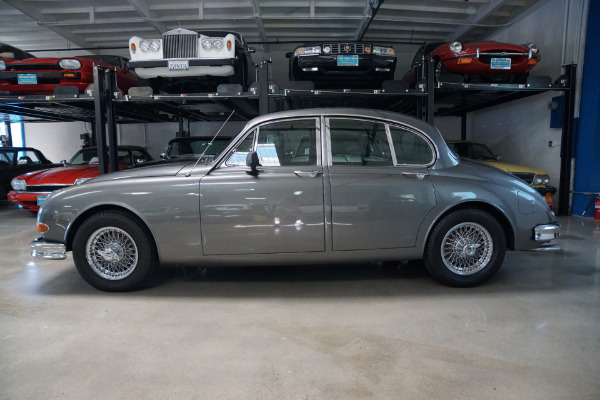 With most of these cars having been neglected over the years or rusted beyond repair to find an example like this one is most certainly a rare find. 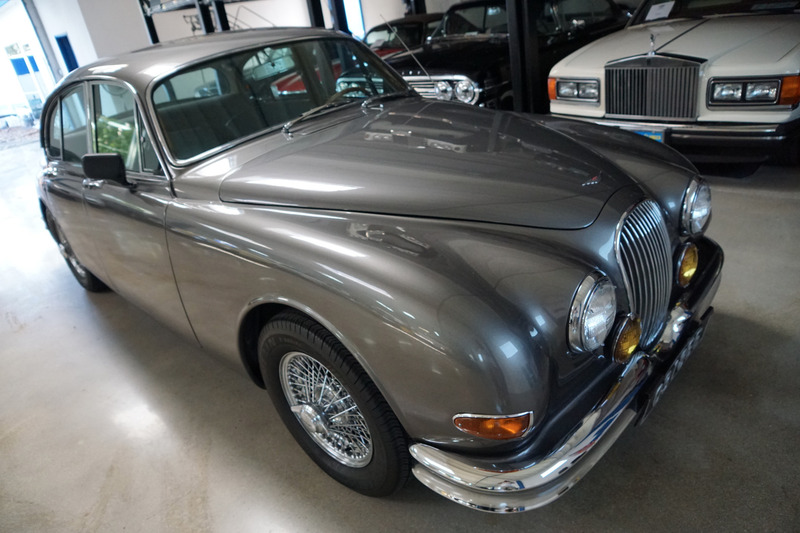 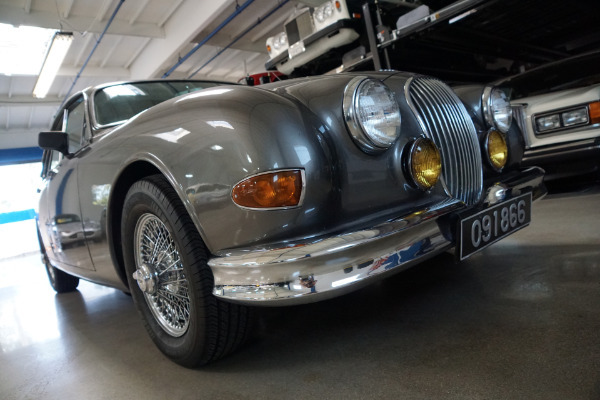 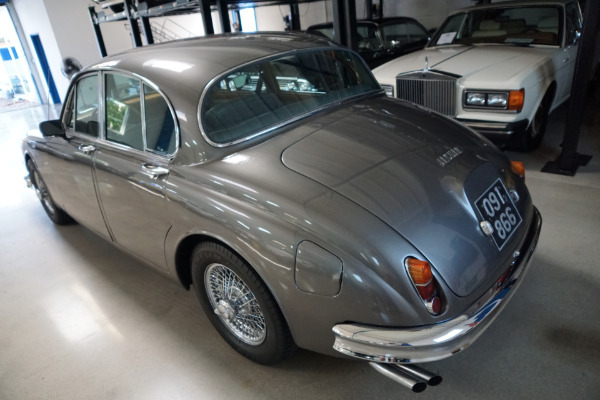 Such elegance, luxury, power and pace - the Mark II is more than just the greatest Jaguar sedan ever built, its probably the greatest British sports sedan ever built! 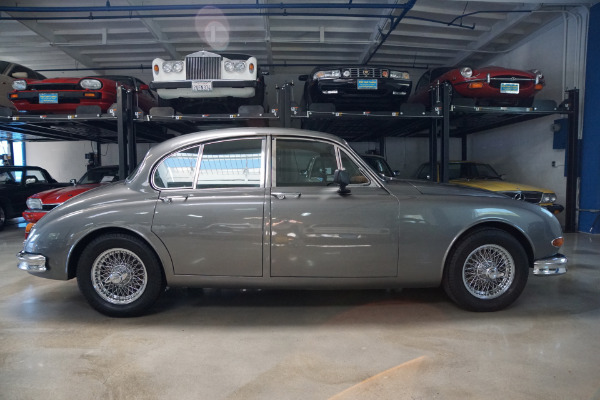 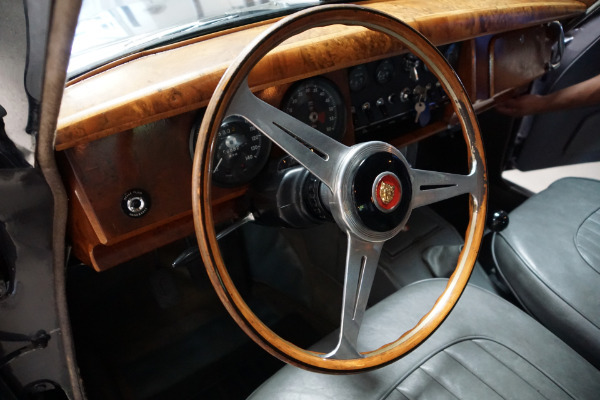 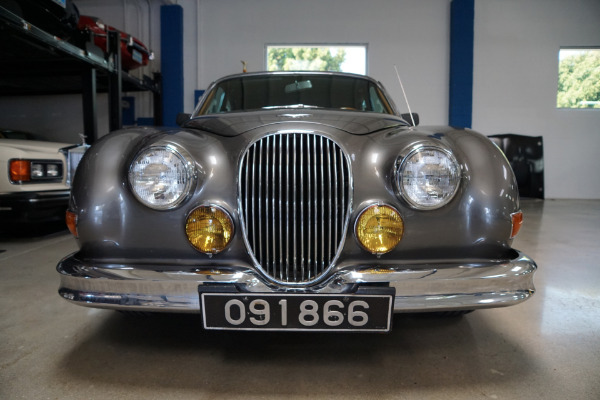 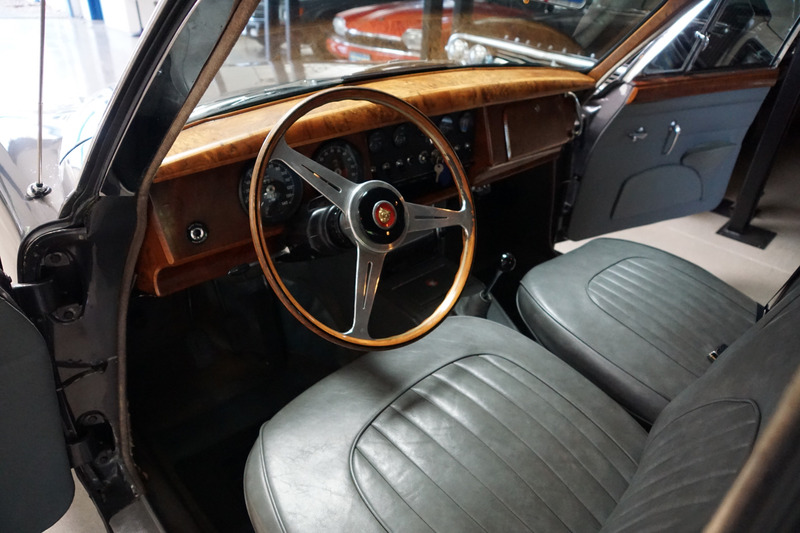 This is obviously an extremely rare opportunity to own a beautiful surviving example of this 1967 Jaguar Mark 3.8L II with the desirable 4 speed manual transmission - a perfect addition to any British car collection or an obvious choice for the Jaguar enthusiast!